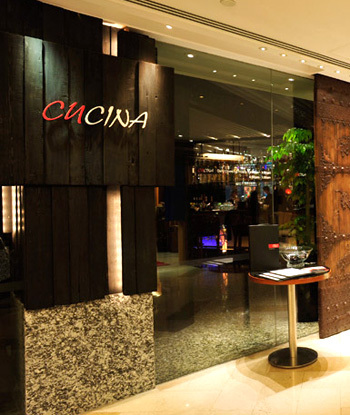 CUCINA at Marco Polo Hong Kong Hotel has a new Italian chef and he's eager to show what he can do in the kitchen. Chef Carmine Esposito was born into a family of cooks and he learned how to make pizzas when he was eight years old. "At that time I stood beside the stoves and assisted my mother in preparing dough for her pizzas," Esposito recalls. "When I was 21, I left my hometown of Trieste in Italy to Beijing, China." It was his love of martial arts that brought him to China. He worked there for eight years at Adria Restaurant and then to Shanghai for another three years, Singapore and now Hong Kong. Esposito has revamped the menu at CUCINA and added some variations of his own as well. 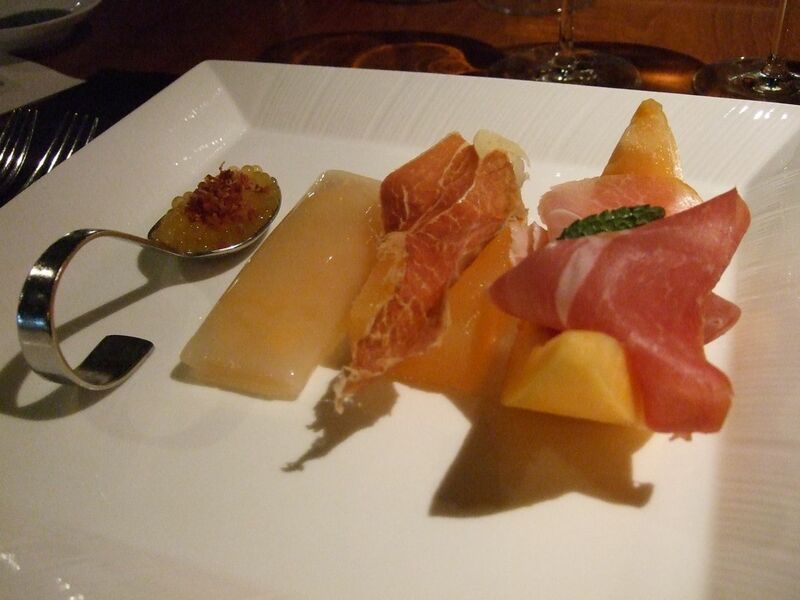 For example, he has a plate of three textures of Parma ham with melon. It's a traditional appetiser but he reworks it in various ways. One is a large spoon with melon caviar topped with bits of dry ham, another is like a cannelloni, and a third has Champagne-infused melon with crispy ham -- or is it bacon? on top. Another intriguing dish is having a Parma ham consomme that was served in canning jars with small veal meatballs, a perfectly poached oyster and green peas. The broth was a tad salty, but an interesting exercise in trying to take Italian cuisine one step further. Then Esposito went back to the classics for the pasta and mains. 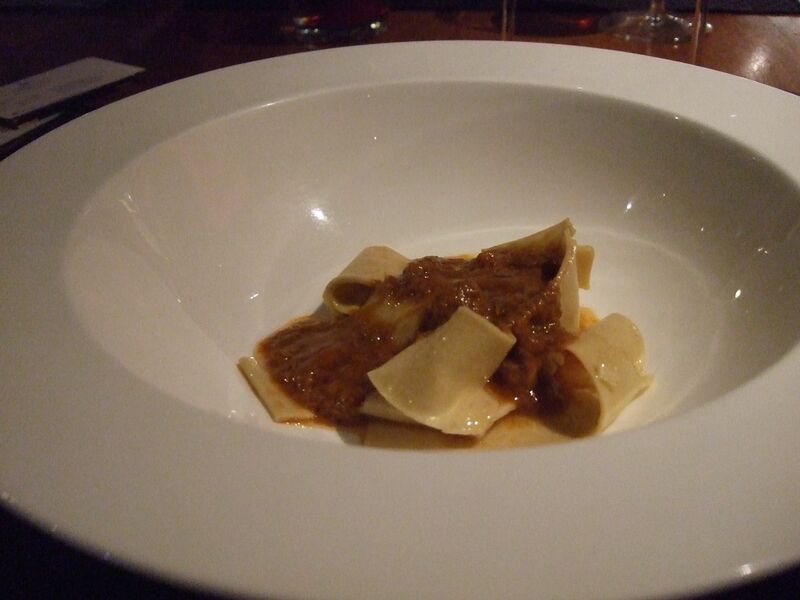 He presented a buckwheat pappardelle with smoked duck ragout. It arrived at the table under a cover as he had added smoke to the plate. He said he had smoked the dough before making the pappardelle and then made a deliciously smooth and hearty duck ragout. Hidden underneath the pasta and sauce was a piece of goose liver terrine that was a surprise. 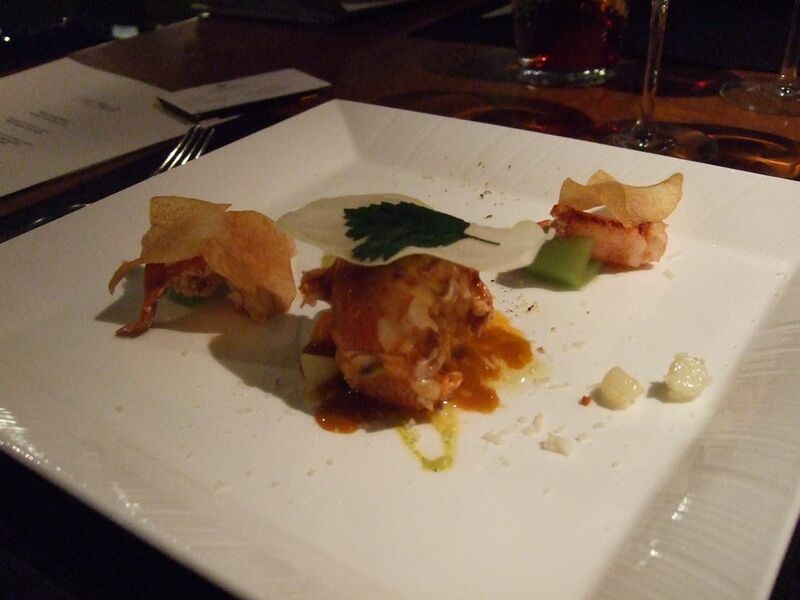 The gratinated lobster was placed on a square plate, the tail on one corner, each claw propped up with a piece of celery. The lobster was cooked perfectly and very meaty and was complemented with a spread of zucchini paste and paper-thin potato chips. 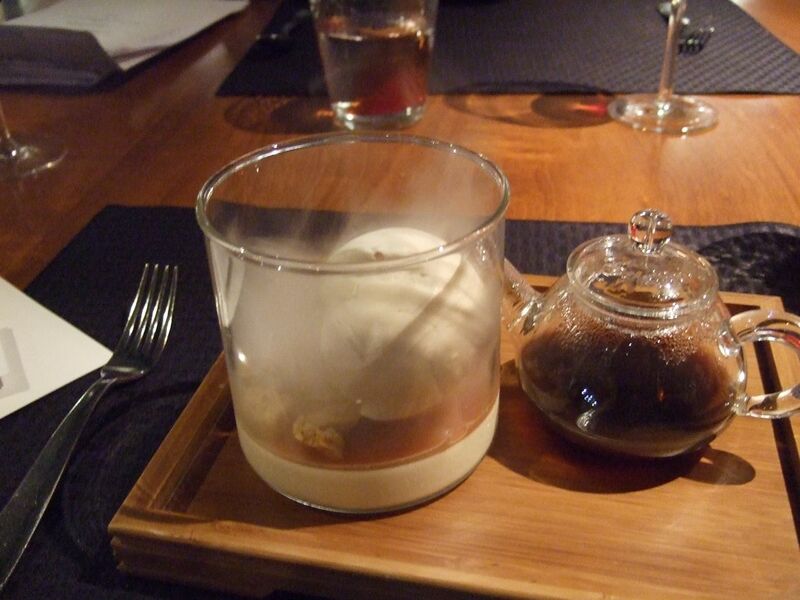 Finally for dessert, pastry chef Ryan Zimmer has an intriguing take on affogato. He presented a yin yang affogato featuring a scoop of frozen tea meringue that he dipped in liquid nitrogen served in a wide glass with evaporated milk custard and cubes of walnut biscotti. We drizzled fresh espresso on top and cracked open the ball for a light, slightly crunchy taste.